Football Friday and the Game Day Recipe. 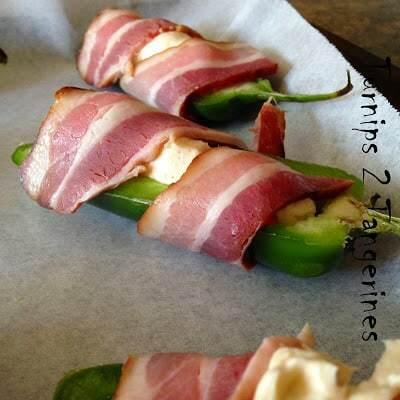 Who doesn’t like Jalapeno Poppers Wrapped in Bacon? Even if you’re not a big fan of spicy, like me, you’ll still like jalapeño poppers. When I originally made these, I had my hubby in mind. Spicy, Cheesy, with the Smokiness of Bacon. What more can you ask for. 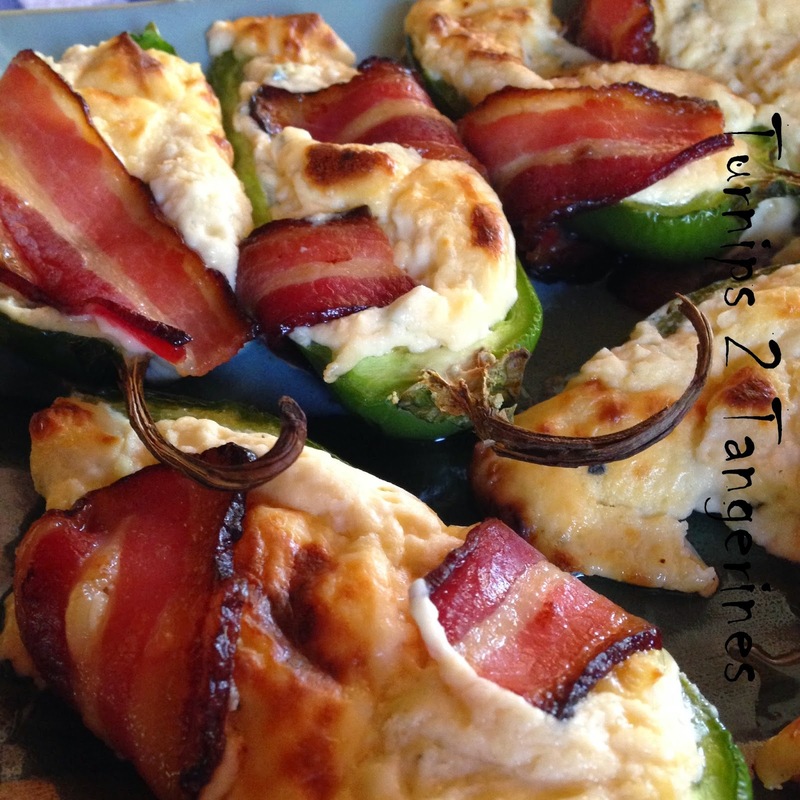 Jalapeño Poppers Wrapped in Bacon are perfect to serve during any football, baseball, or basketball game. 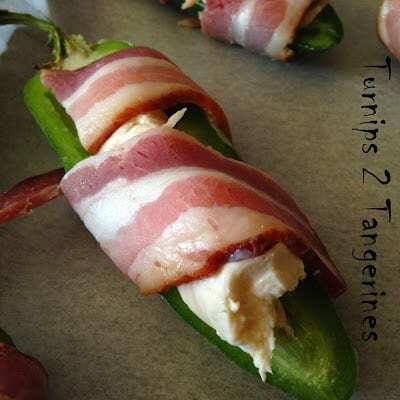 The perfect finger food, jalapeño poppers wrapped in bacon can be served before, during or after any game your sports loving hubby may be watching. In a large bowl beat cream cheese until creamy. Add hot sauce, onion powder, garlic powder, salt and pepper. Beat until creamy. Stir in crumbled blue cheese. Line a baking sheet with parchment paper. With a scissors, snip off one corner of a large ziplock baggie. Spoon cheese mixture into baggie. 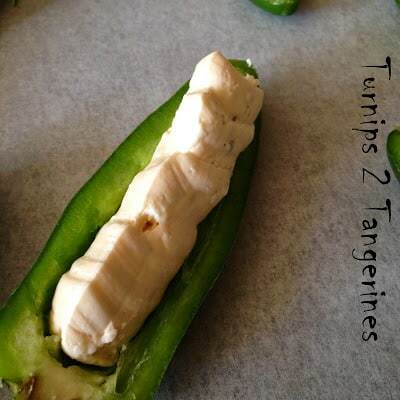 Pipe cheese into jalapeno halves. 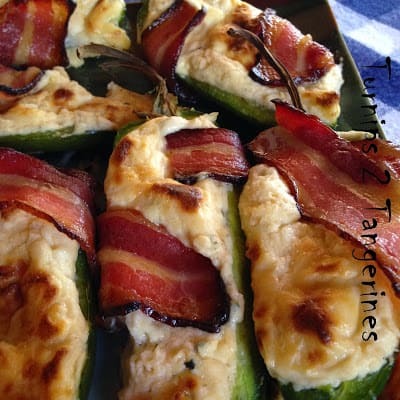 Wrap a slice of bacon around each stuffed pepper. 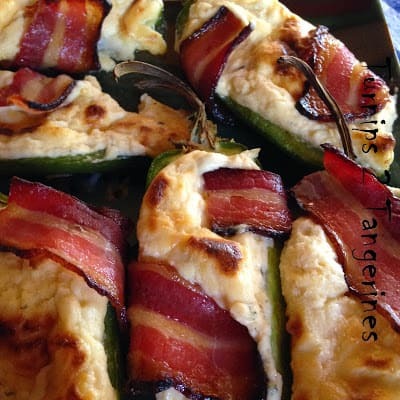 Arrange bacon wrapped peppers on parchment lined baking sheet. I like that you add something to your cream cheese. 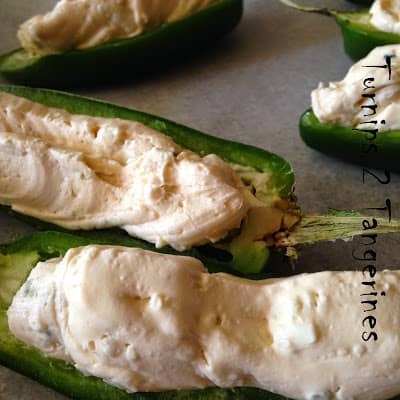 Not that jalapeno poppers don't taste good just with cream cheese filling, but the onion, garlic, hot sauce, and blue cheese make them extra special. Have never seen them with blue cheese, by the way! Thank you for stopping in and linking. Wow, do those look tasty. PInned. Thanks for bringing it by Weekend Bites. 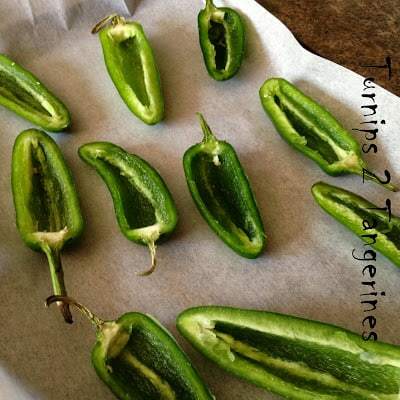 Your Jalapeno Poppers are great and perfect for the big game. Thanks so much for sharing your awesome post with Full Plate Thursday and have a fabulous day!